SILVER SPRING, Md. 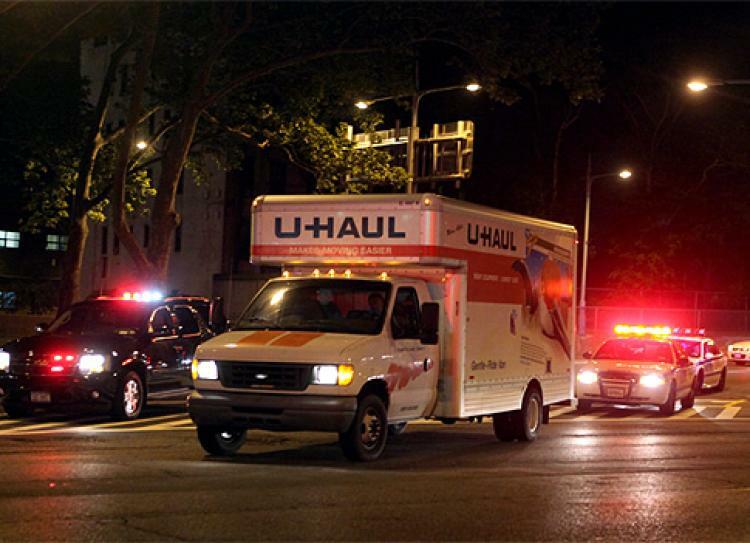 --- Police in Silver Spring have pulled over a U-Haul full of North American Division leaders for speeding. Asked where they were going in such a rush at this time of night, panicked NAD spokesperson Ocahn Nada barely managed one word: "North." In the back of the truck, other NAD leaders could be heard cancelling projects with furious contractors that had been working on relocating the division's headquarters to just a few miles from the current Silver Spring headquarters. As officers handed Nada a ticket, a religious liberty staffer could be heard from the back of the truck saying, "the end is nigh.'" Could those NAD people be suffering from the post election blues? Many citizens have mused that if Hillary Clinton lost, there would be a mass migration to Canada. It has been reported that the US Immigration check points have been beefed up for the exodus. Make sure your passports are in order. Canada would be an ideal location for NAD headquarters. Go for it!! Actually, once those police realized who was speeding north, and why, they bade the speeders adieu and wished them God-speed (speeding ticket notwithstanding).